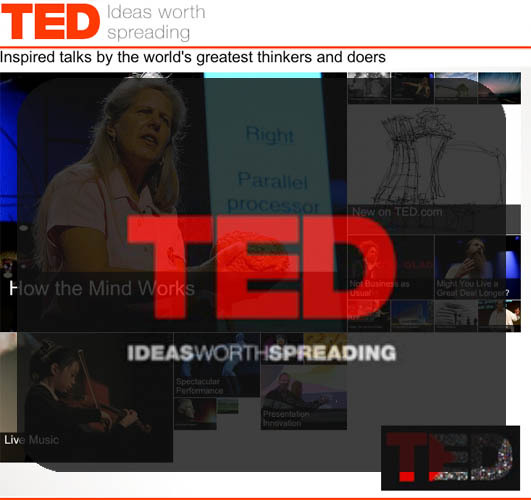 Technology Entertainment and Design (TED) is a conference, they gather world greatest thinkers and doers let them talk and make it available for us to watch. I've watched many many of them, and I really deeply moved virtually by all of them. their motto is "ideas that worth spreading" and it is very true. some of them really moved me and changed the way I see the world and my place in it. go to ted.com, you can watch all their videos (usually speakers given 18 minutes), conference is happening once a year, in march in california, and 2008 one is just over and i realized that i should have written about it a long time ago.